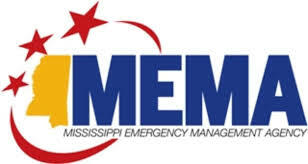 The Mississippi State Board of Contractors has reciprocal agreements with Alabama General Contractors Board, Alabama Electrical Contractors Board, Alabama Heating and Air Contractors Board, Arkansas Contractors Board, Georgia Board of Residential and General Contractors, Louisiana Contractors Board, North Carolina Electrical Contractors Board, North Carolina State Licensing Board for General Contractors, South Carolina Contractors Board, South Carolina Residential Builders Commission and Tennessee Contractors Board. If you have held a license in one of these states for three (3) consecutive years, the board may waive your trade exam. However, the Mississippi Law and Business Management exam is mandatory. Reciprocity applies to waiver of the trade exam requirement only. It does not waive any of the other application requirements or review by the Board. A general building contractor may choose to take the NASCLA Accredited Examination for Commercial General Building instead of the Mississippi Building Construction exam. The NASCLA Accredited Examination for Commercial General Building is used by state contractor licensing agencies to test commercial general building contractor candidates who are applying for a commercial contractors license. It is the only multi-state exam for commercial general building contractors. The examination has been designed to reduce redundant licensing requirements and assist contractors who need to be licensed in multiple jurisdictions. The NASCLA Accredited Examination for Commercial General Building is accepted in Alabama, Arkansas, Arizona, Georgia, Louisiana, Mississippi, Nevada, North Carolina, Oregon, South Carolina, Tennessee, Utah, Virginia, U.S. Virgin Islands, West Virginia. See our FAQ (frequently asked questions) section for more detail. Use the FORMS tab to the left to access the Reciprocity Form.